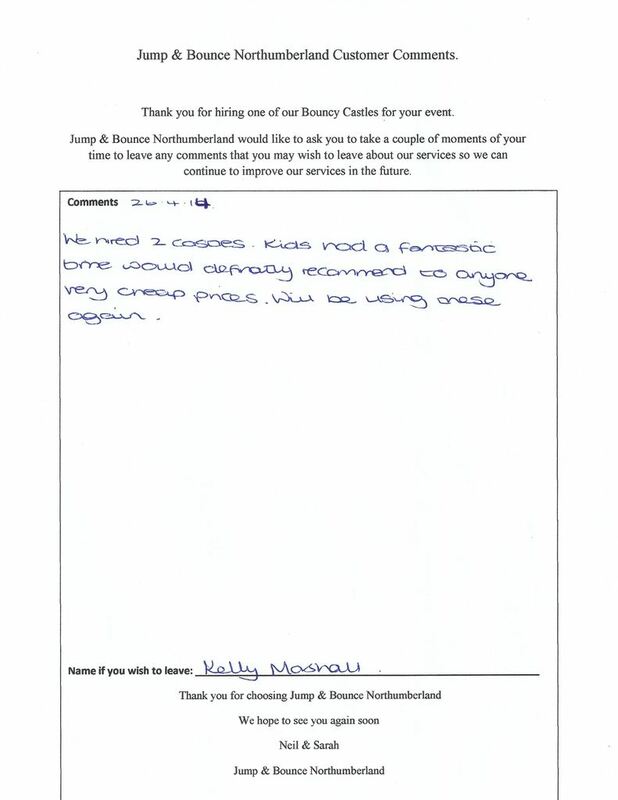 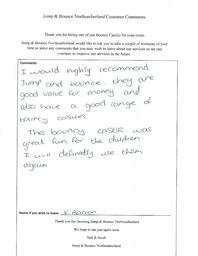 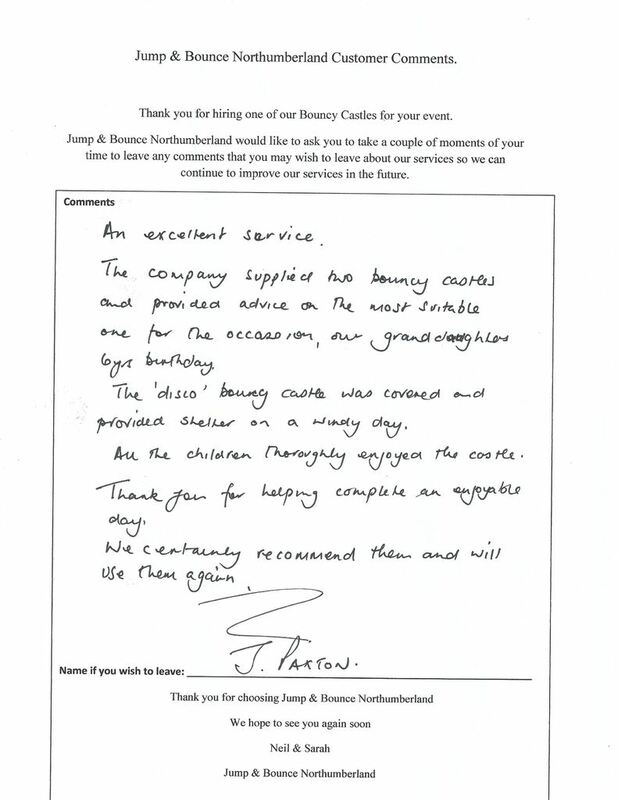 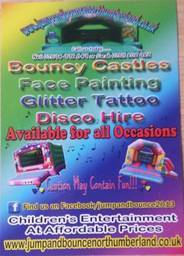 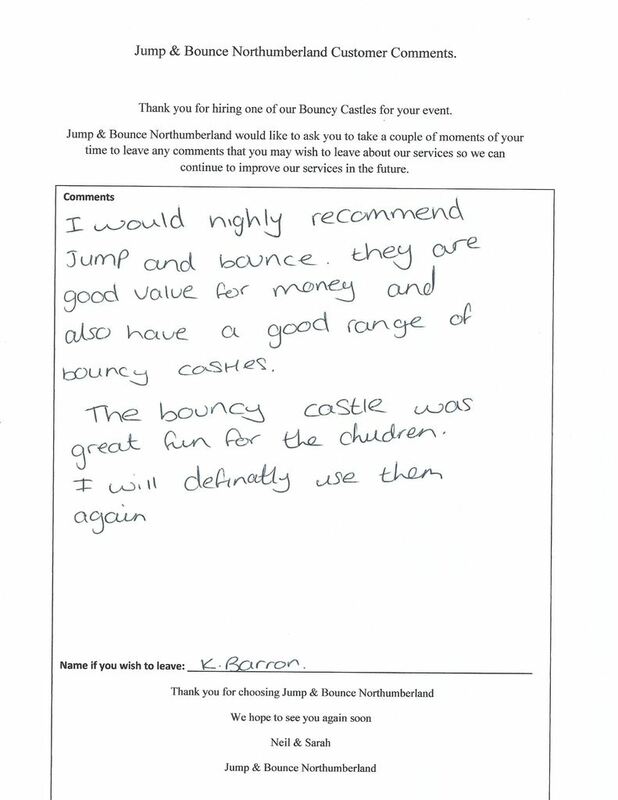 Jump & Bounce Northumberland Jump & Bounce Castle Northumberland is a New Bouncy Castle Hire company and a One Stop Party Shop based in Ashington Northumberland. 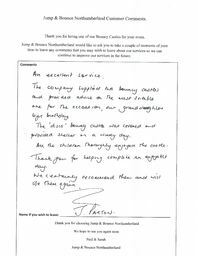 We can work with you to get value for your budget. 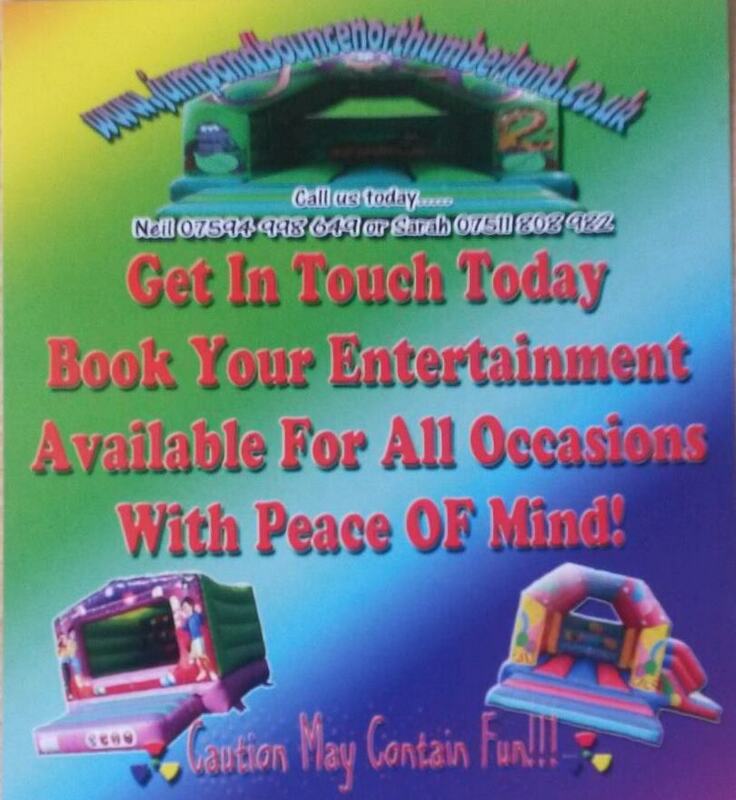 We offer a free meet and greet service to discuss your individual needs as we like to give the personal touch to our customers. 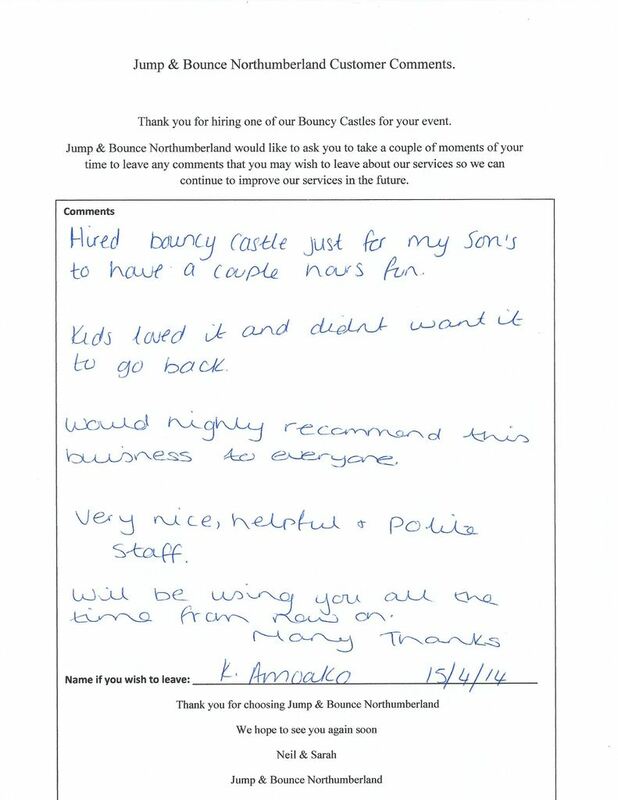 We can deliver all of our services to all areas of Northumberland and also we hire to areas outside of Northumberland too including North & South Tyneside & Wearside too. 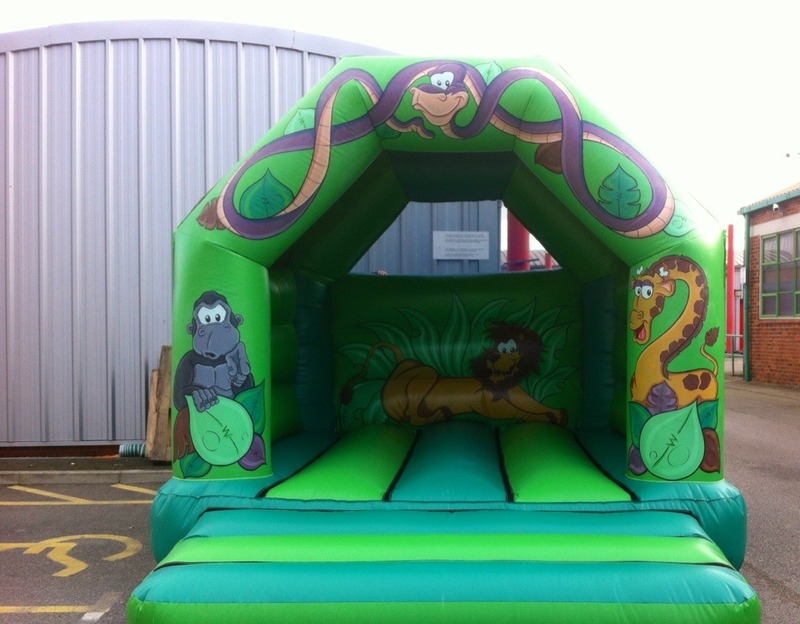 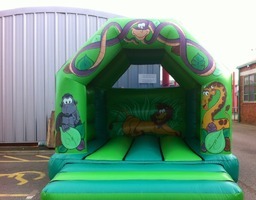 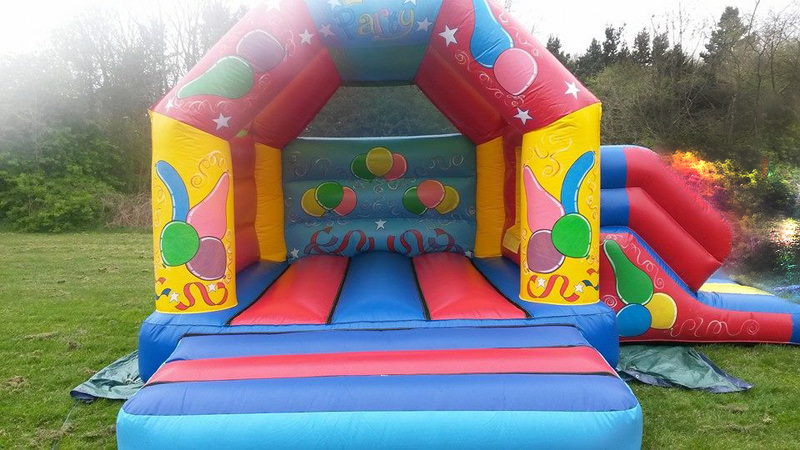 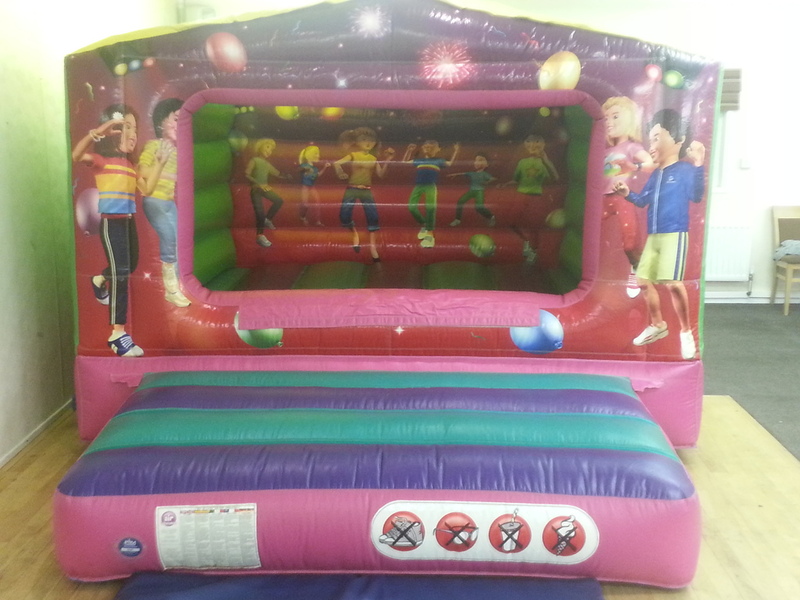 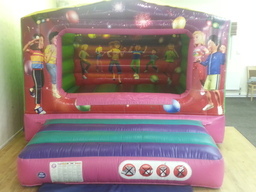 Bouncy Castles 3 different sizes with 3 different themes. 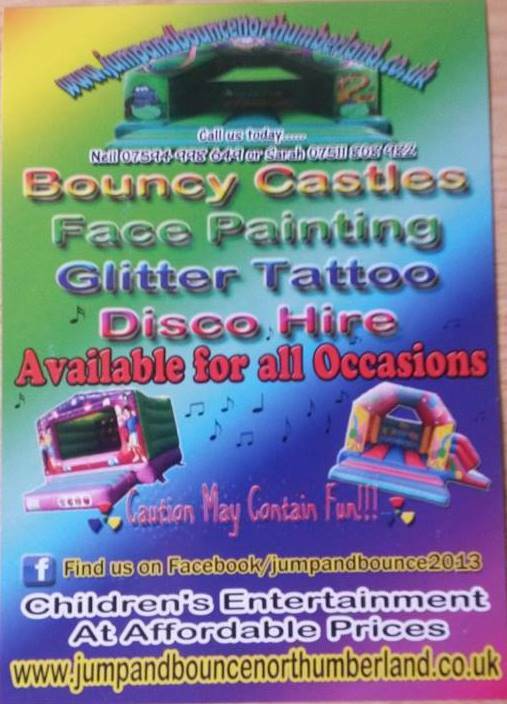 Jungle Theme, Disco Theme and Party Theme.